Create or enhance your online business with special savings on the products you need. 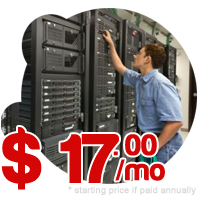 Our Business Hosting packages are bundled with all tools required for successful business. Plus, you will get free domain for your company by subscribing our Annual Contract. 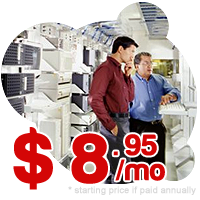 When you are looking for personal / cheap hosting, price and features are critical. Our Value web hosting plans are feature rich including additional domain support, full email support, and 24X7 technical support. Rest assured, you will get the best quality hosting – even if you are shopping for “cheap hosting”. Virtual Private Servers deliver performance far beyond shared hosting, plus the flexibility and control of a dedicated server. VPS solutions provide an affordable solution for businesses that need features such as a custom firewall, dedicated mail server or more control over security. Every dedicated server we offer has tremendous capacity to be upgraded and adjusted to fit your business’s exact requirements. We can meet your needs whether you are on a tight budget or investing in an enterprise-class solution. World class and simple cPanel and WHM suite of web management tools. Comprehensive Service Level that guarantees 99.9% Uptime & Network. Our Technical Support is online 24.7.365 via our live chat and helpdesk.